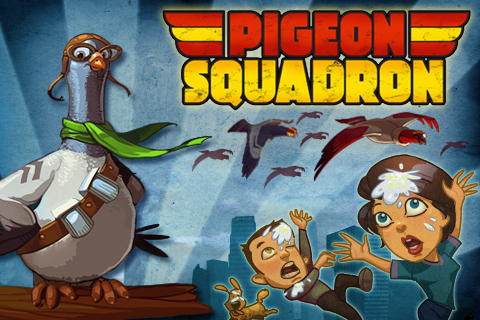 Over 500,000 downloads for Pigeon Squadron! A half million people addicted to Pigeon Squadron can't be wrong! 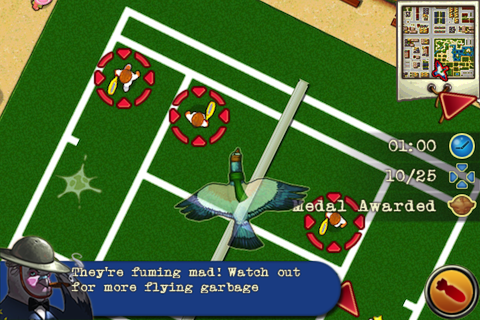 The wackiest and most outrageous bird-pooping game on the App Store! 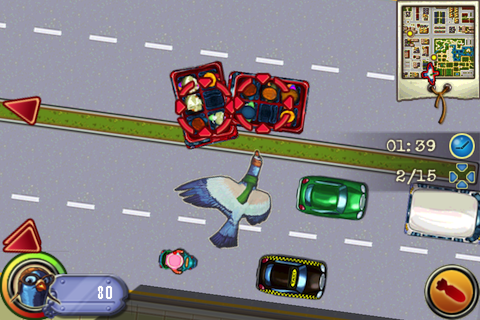 Play as heroic pigeons flying over cities and create chaos by bombing the humans, pets and vehicles below! 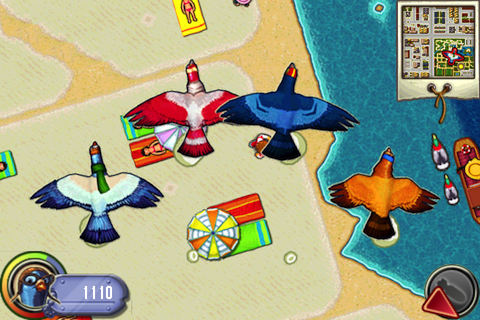 Selected as This Week's Must-Have iOS Games by CulOfMac.com: "A great bit of fun and a bargain at less than a dollar." ***YOUR FEEDBACK COUNTS! *** If you like Pigeon Squadron, show your support by rating the game and posting a review. We want to hear from you and make the best game possible! The pigeons WILL have their revenge! After centuries of being shooed, chased and abused as ‘flying rats’, the pigeons are fighting back! Bombs Away! Join an elite team of paramilitary pilot pigeons prepared to relieve themselves at will in order to bring humans to their knees! Play as Philby, Burgess, Maclean and Blunt – each one with his own pooping prowess. Complete 45 missions where you get to drop your ‘payback payload’ on businessmen, hippies, beach bums, golfers, grandmas, tourists, ducks, school buses and more! 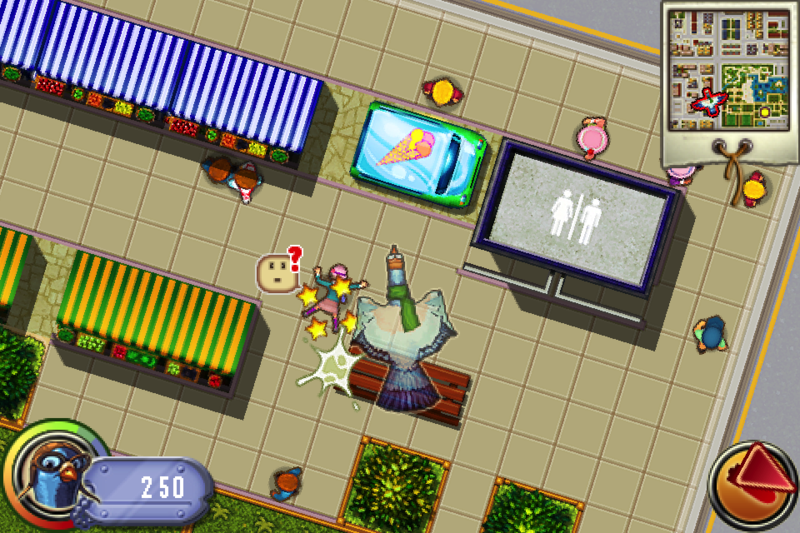 Hit the moving targets and survive against the human objects thrown at you. Wreak havoc in three beautiful cities reminiscent of New York, London and Paris – each with unique targets to hit and specific missions to complete. With perfectly responsive touch and motion controls, who knew it was so easy to master the art of flying AND pooping at the same time? You can access your iPod/iPhone Music Library to play your own music while playing. Are you ready to join the Pigeon Squadron? Do your part and inquire at an App Store near you!